Whether youâ€™re on an Apple, Droid or RIM operating system, more and more companies are making money apps suitable for young people. 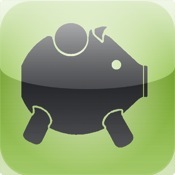 The Kids Allowance and Rewards Lite app tracks payments and rewards good behavior. Sure, iPhones, iPods and smartphones can be all fun and games. From capturing video, images, Sudoku and finger bowling games, making phone calls and listening to music are sometimes the least of our concerns when it comes to our digital devices. But what better than to turn this into an interactive learning experience for your young one. Whether you’re using an Apple, Droid or RIM operating system, more and more companies are making money apps suitable for young people. Share a Bill Lite — If your child has finally agreed to start helping with small bills here and there, Share a Bill Lite will allow you to track how much is owed and split the correct amount. Whether you’re going out to dinner, promised to split a car rental or prom fees, this app will help you keep track when it time to pay up. Kids Meal Deals – Like to eat out every now and then? Teach your child how to spot a deal with the Kids Meal Deals app. Just put in your zip code and the day of the week and the app will find restaurants within a 30 mile radius with specials for kids. Turn it intoÂ a game when visiting new cities. Compound interest calculator — If you haven’t taught your child the value of compound interest, the time is now. If you’re a saver, putting money in an account that yields compound interest (re: money market accounts) this can be a great way to multiply your savings. If you’re a spender compound interest on from your credit card, student loan debt, or that big item purchase can sink you into debt rather quickly. The compound interest calculator will help your child understand how much that student loan will really cost or even keep track of mom and dad when pulling out that little piece of plastic. Kids Shopping Calculator — Want to teach your kid how to budget? Get started with the Kids Shopping Calc app. The money is set, your little one will need to spend within means when going grocery shopping. Make the game especially engaging my rewarding your child with real life prizes for meeting or falling below your budget.